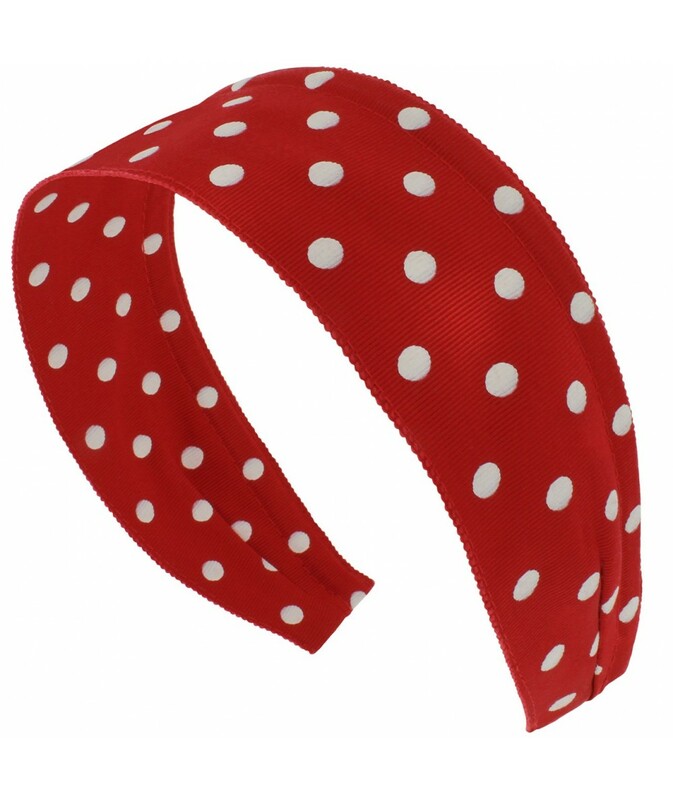 The best dotted hairband you'll ever wear! Comfortable, lightweight, and a unique adjustable fit to your head. Polka Dots are always in, retro goes modern with this look. Our dotted ribbon is of a vintage millinery quality. They don't make ribbon like this anymore!